Lifelong weekend warriors, fitness buffs and athletes alike can find it frustrating to be sidelined due to an injury, medical event or an aging body. Participating in your favorite sport or activity may no longer be an option, but that's no excuse to sit on the bench! The trick is to find new, safer ways to stay fit and active that still brings joy and are gentler on the body. 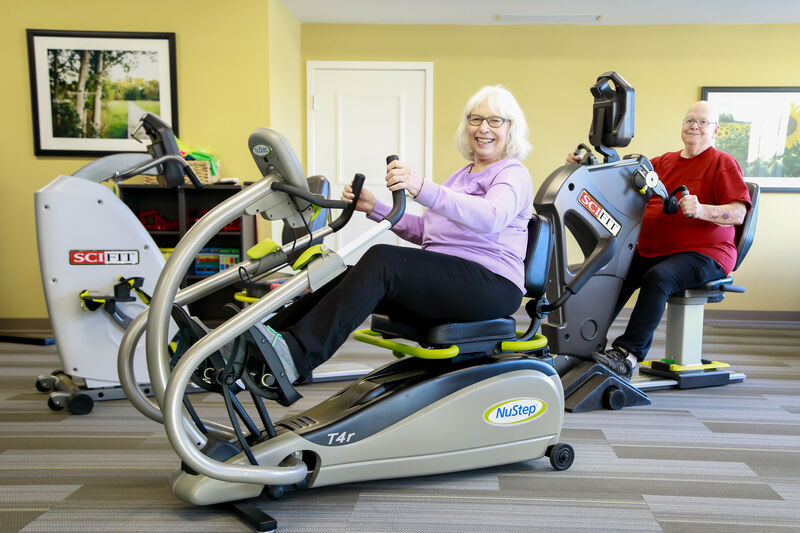 "When we face the physical challenges of aging, it's easy to become complacent and less motivated to work out, but that can lead to weight gain and a quicker decline of physical health," says Diane Myers, DPT, Clinical Supervisor, Attuned Care Team, who works with older adults at Pathway to Living communities. 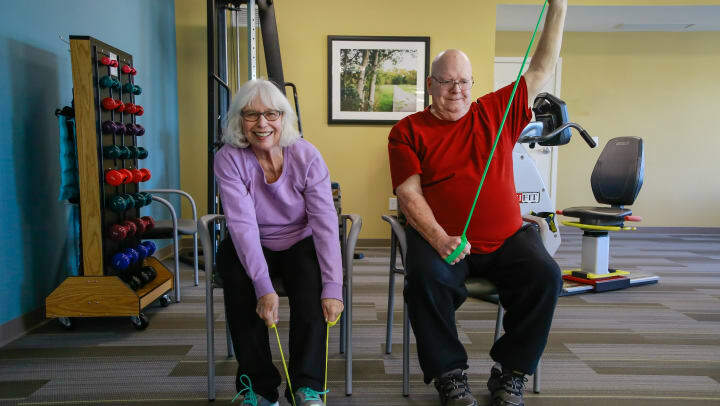 Dr. Myers tells her clients — many of whom are bouncing back from major setbacks like broken bones, strokes and heart disease — to focus on what they can do and not on their restrictions. Power walking puts less pressure on the back, hips, knees and ankles while still providing cardiovascular benefits. To realize the advantages, one must power walk a minimum of 20-30 minutes, 4 to 5 days a week at a pace that is a little above the walker's comfort zone. Golfers, bowlers and tennis players try Wii Sports. The Nintendo Wii interactive gaming system boasts virtual games of tennis, bowling, golf, baseball and boxing. Thirty minutes a day is a great way to burn calories and be social when playing with friends! Yogis try Chair Yoga or Chair Chi. Longtime yoga practitioners can find the same benefits of regular yoga with less risk of injury while seated in a char. Standing or sitting, the deep breathing practice connected to movement activates muscles, lowers blood pressure and reduces stress and anxiety. Zumba Gold takes the dance party to the chair by recreating the original Zumba choreography at a lower intensity, yet still focuses on balance, range of motion and coordination. Be ready to sweat to a Latin rhythm! Swimming builds endurance while the water provides resistance in every direction, so swimmers can benefit from using free weights and resistance bands. Try sitting in a chair and doing various swim arm strokes while holding weights (start with the lowest weight possible and work your way up) or seated kicks with resistance bands. Stationary bicycles and other machines like NuStep can help cyclists work on endurance, strength and balance. Power walking is a great outdoor alternative. Ball players try balloon toss. People who played volleyball or basketball may enjoy the aspect of the group game of balloon toss. Players sit in a large circle and try to keep a swatted balloon up in the air, which is beneficial for hand-eye coordination and core strength — and a few laughs! Before beginning a new exercise regimen, please seek the advice of your physician. If you feel like you could use some guidance to start a new, modified fitness routine, ask your doctor for a short-term physical therapy order. A physical therapist can spend as little as two sessions, or more as needed, with a client to customize an exercise plan with the right amount of intensity to safely meet one's health and fitness goals.